Wizard Corporate Training offers Excel Training Courses Melbourne for people who want to be on the cutting edge. Wizard opened in 1992, and they are one of the oldest Australian-owned training companies when it comes to IT end user training, project management, and professional self-development. We offer Excel courses in Melbourne to you’re your employees become more knowledgeable and more valuable. This in turn helps your business become more profitable. The training of your employee base has many advantages. Even though employees may miss work hours because of training, most agree that the knowledge gained is invaluable and allows each employee to do his or her job better. The time and cost involved is worth it in the long run because you are increasing the overall value and efficiency of each employee. Knowledge and staff competence, by its very nature, increases your bottom line. Let’s face it: employees cannot always be 100% proficient in all areas. A training program, such as Excel training in Melbourne, will improve the knowledge base of your employees, bringing them all up to speed. In this way, no one needs to be the weakest link; and, no one should rely on others to complete tasks for them. After training, employees are better able to fill in for one another when necessary; and, in this way, things tend to run a lot more smoothly. When you are looking for Excel training courses Melbourne, isn’t it nice to know that Wizard exists? WCT uses experienced educators to get the job done. The professional development courses Wizard offers have been honed over many years. These courses are in-depth and address the key issues and questions, as you would expect. In the corporate and small business world, it is important to develop consistency and reliability. In Melbourne, Excel courses hosted by Wizard can ensure just that and much more. With the proper training, employees will perform better. Training also increases an employee’s confidence, which, in turn, pushes him or her to perform better and begin thinking outside the box. The bottom line is that your employees become more valuable assets to the team. Excel Training Courses Melbourne offered by Wizard will help produce leaders within your organisation; this is always a good thing. Our courses are designed to help increase productivity. Wizard offers several Excel courses to bring you and your employees up to speed on the latest developments, and did you know that Wizard not only offers a public schedule but is also able to provide training on your premises or through our extensive network of training partners across Australia? Employee training is worth every moment of time spent in the classroom because knowledge increases the net worth of every employee. Employee training creates valued individuals who can help take your business to the next level. 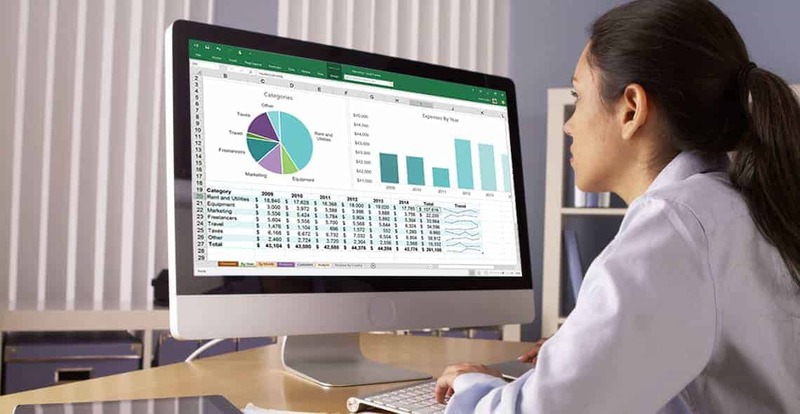 When it comes to Excel Training courses in Melbourne, we provide training programs that allow for increased learning and enhanced performance, helping your bottom line every time. Call Wizard Corporate Training on 03 8060 4555 for more information on how Excel Training can improve the performance of your staff today. The training was an enormous success with instant results coming directly from the training. Managers were putting Project plans in place at the end of the Practical Project Management course and have already shown an increased productivity level. Results were especially evident following the Inspirational Team Building course with managers expressing their excitement about utilising their new skills in their teams. © 2018 Wizard Corporate Training & Solutions. All Rights Reserved.